This article first appeared in The Edge Financial Daily, on November 28, 2017. The 720S has a 4.0-litre, twin-turbocharged V8 engine and a seven-speed rear-wheel drive. The McLaren 720S has earned many accolades. Most notably, Road & Track named it Performance Car of the Year for 2017. But the McLaren 720S is a difficult car to love. It’s not that it doesn’t represent a phenomenal feat of engineering and design. It does. But this car is so advanced, it’s clinical. 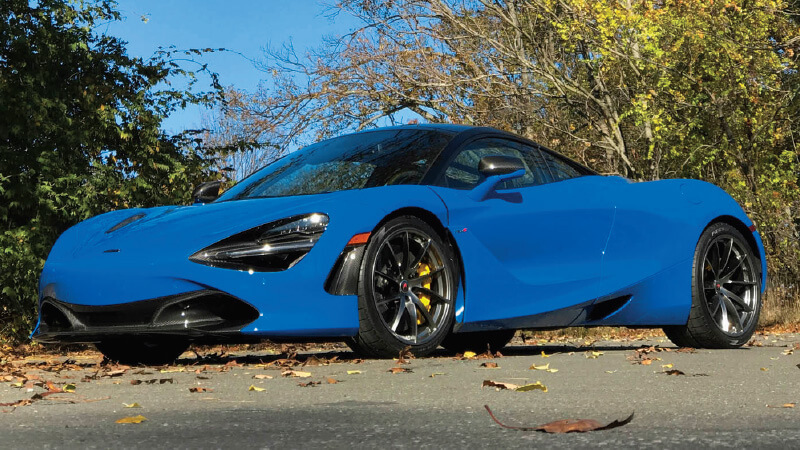 The 720S may be worth the US$284,745 (RM1.17 million) required to own it when it comes out in May, but I predict you will have more fun — you know, emotionally — on a regular basis living with something else. McLaren’s 720S is the first car I have driven in a long time that genuinely required an orientation before pulling out of the parking lot. By orientation, I mean a technician sitting in the passenger seat and taking 15 minutes to explain how to change drive modes (comfort, sport or track), adjust the height of the front nose (to negotiate potholes and sudden inclines), engage the rear air brake, use the push-button parking brake, and even turn on the radio. At least a few of those things shouldn’t have had to be explained. This is not a knock on the car per se. Vehicles should be evaluated based on their intended, stated purpose. McLaren positions its newcomer as having “extreme performance DNA”, and that it certainly does. If that is the only thing you are looking for, you will likely appreciate it. This machine is not meant for silk-walking SoHo’s cobblestone labyrinth or navigating Chinatown’s back alleyways. (I mean, I did do that, among other, smoother, faster jaunts to upstate New York and Long Island. But I don’t count those hairy moments against it.) The space in the cockpit is larger than that of its predecessor, big enough to feel comfortable. And the front trunk is large enough to accommodate a light weekends’ worth of luggage. But since I look at cars from more of an experiential perspective, I feel obliged to warn you about its drawbacks. In the midst of all the car’s splendid advancements, something has been lost. Maybe user logic was just overlooked in favour of other priorities, but few things in this car are easy or intuitive. Reach out to change the positioning of a side mirror, say, and you’ll spend a few moments looking for a knob in the wrong place. (It’s underneath the steering wheel.) You’ll wait three seconds before the parking brake disengages. You will push one small button to “activate” an override system before “activating” the spoiler and then turning other knobs to switch drive modes.